Is Samsung prepping a new mid-range tablet? It is, according to 91mobiles. The new slate is expected to join the Galaxy Tab A lineup and reportedly carries the model number of SM-P205. The rumored specs call for the base version to be equipped with 32GB of native storage and feature firmware version firmware version P205DXU0ARL4. The tablet will be offered in black and grey, but it is unclear which build of Android will be pre-installed. The Galaxy Tab A series is a mid-range line of Android tablets. 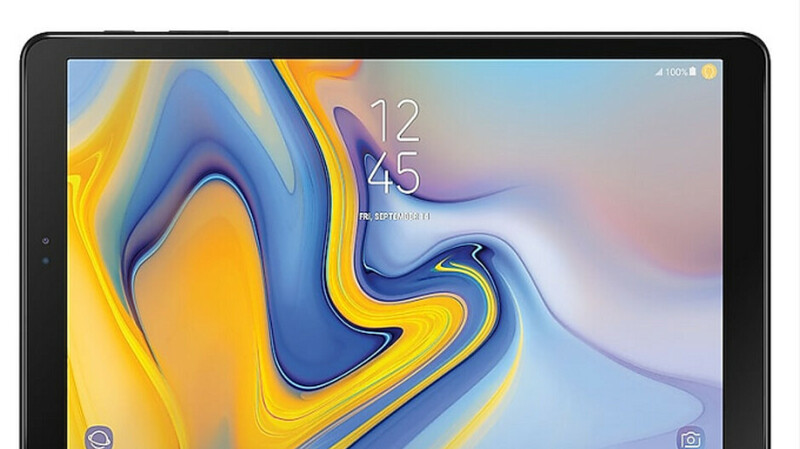 The most recent addition was the Samsung Galaxy Tab A 10.5 (see image at the top of this article), which was launched in August. The device carries a 10.5-inch LCD display with a 1200 x 1920 resolution and is powered by the Snapdragon 450 chipset. The slate features 3GB of RAM and 32GB of native storage, and comes with an 8MP camera on back and a 5MP selfie snapper in front. The report says that the tablet could be unveiled in Barcelona at MWC, which will take place from February 25th to February 28th next year. Or, it could see the light of day at a rumored February 20th event during which the Samsung Galaxy S10, Galaxy S10 Lite and Galaxy S10+ smartphones might be announced. The buzz around the water cooler has Sammy introducing the 5G version of the Galaxy S10 and the foldable Galaxy F at another event to be held the following month. Your joke might be funny if the specs weren't already listed in the article. Let me give you a hint. You were off. Who said rumored? He guessed & he was wrong. The official specs are listed in the article. Of course he's off. Literally every spec he guessed was incorrect. This isn't even debatable. Um, he listed the specs of the current 10.5 inch tab A. OP was guessing the specs of the new mid range one. -I sell these tablets for a phone carrier. Every word so far u said are incorrect. Learn how to read. SMP205 are still unknown. 10.5 is the one with official spec. High end Android tablets are dead. It's a wasteland. Another garbage product from Samsung. Gotta give them credits for keep pushing Android tablets despite the fact that the market is almost gone. I for one really hope that there's genuine effort to revive it. Of course, that will have to start with Sammy upping the specs and/or slashing the prices. From the looks of it, this one's only asking to get rekt by the Mi Pad 4 (Plus).